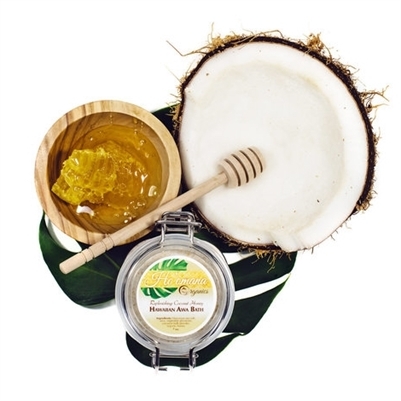 Escape to serenity with a home beauty ritual using Replenishing Coconut Milk and Honey Bath. Restore your skin's youthful glow with exfoliating and humectant honey. Allow creamy coconut milk to soften the skin, while Awa to releases muscle tension and Hawaiian sea salt tones with rich healing minerals.